When I have my fishing head on all I want to do is fish. These days it doesn't take much rain to knock that head off! January was a blooming wet month. Whenever I had time free to fish it rained. When I didn't it was fine. Maybe if I was in the mood for putting the brolly up and taking a stove to brew up and fry bacon on I'd have been more inclined to do some fishing. But I really enjoy being mobile, and hate moving swims in the wet. The upside is that I've been busy with work, so I've not had all that much time. I've even been enjoying working, as I do when I have rods to build with specs other than the run of the mill. 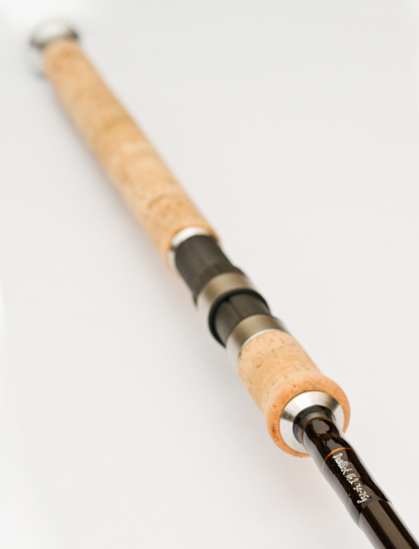 An ALPS reel seat wouldn't be my choice for a pike rod, lovely though they are. I think they are intended for use on spinning and fly rods intended for use chasing hard fighting fish in the tropics. The double locking rings ensure the reel won't come loose and the design ensures the reel can't twist in the reel seat. Being machined from aluminium they are heavy, and cold to the touch in a UK winter! 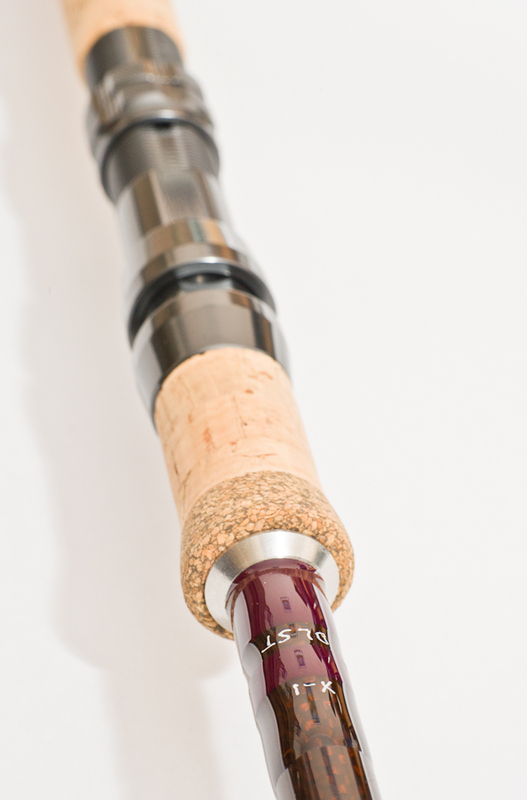 The rubberised cork is a nice enough cosmetic touch - although it's a bit of a pain to work with. I must say that the burgundy thread (that Talbot which I'm getting closer to running out of) looks well on a brown X-1 blank. Black thread with copper tipping has always appealed to me on brown blanks, it even looks good on natural carbon, so I knew that would be fine on a custom Duellist. I knew the handle configuration would look good, in a traditional way, and be functional at the same time. There has also been an interesting, if fiddly, refurb job alongside other unusual builds (blue thread anyone? ), but these are the two I took photos of. As is often the case these days when my fishing head falls off it gets replaced by my photography head. The advantage of photography being that I can get out and take a few shots in a smaller window of free time than I like for fishing. Even an hour can be enough. The last hour of daylight can be fruitful. Doing that a few times a week gets my mind working on a visual rather than a piscatorial track. Which means that when I do get more than an hour spare I'm itching to fill it photographically - even though it can be just as frustrating as fishing!